where she bought her coat, what she was doing outside Parsons Paris (student.. stylist.. frequenter of Rue Saint-Roch? ), where she's from, oh and her name. This is the first street-style type photo I've ever taken, it's quite addicting, harder than I thought, and I'm already wanting try again. 9/10 times, my fingers are too slow to capture the people who catch my eye. 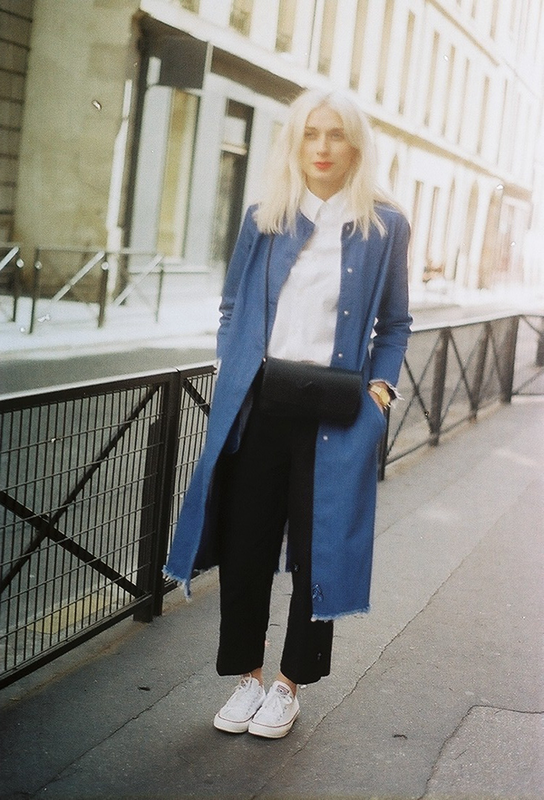 This girl though, with her frayed oversize coat en bleu, black cross-body, red lips & converse, I couldn't let her go. Later, walked down a random passage close to the Palais Royale, and lo and behold, Maison Margiela.